Many people choose to be freelancers because this can be rewarding. Freelancers have the ability to set their own hours. They also have unlimited earning potential. However, managing personal finance for freelancers can be difficult. 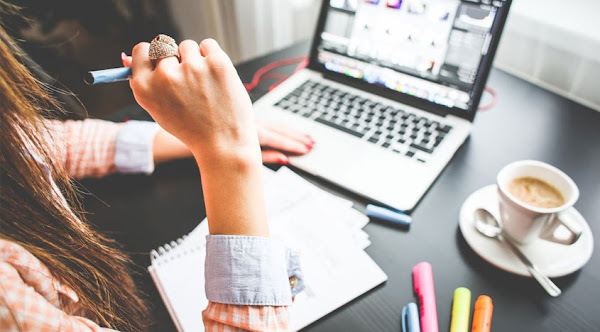 Freelancers often have irregular income, but there are some things that you can do to manage it. You will need to list all of your monthly expenses. If you know how much your expenses are, then you will know how much you will have to make each month to get by. You should have one column for fixed expenses and another column for variable expenses. Fixed expenses include things such as mortgage, car payment, and insurance. Variable expenses include health and wellness, entertainment, clothes shopping, and food. Separating your expenses will allow you to see areas where you can cut the costs. If you can cut down on your variable expenses, then you will be able to save money and maintain your standard of living. If you want to know how to manage irregular income, then you will need to start by saving money. Surviving the lean months will be a lot easier if you have money saved up. It is a good idea to save 10 percent of every paycheck that you get. If you are single and do not have a family to support, then you should have three months worth of expenses in your savings account. You should have at least six months worth of expenses if you have a family to support. Those who earn their income through freelance work are not going to receive a W2 at the end of the year. What’s more, they aren’t having their taxes automatically withdrawn with every paycheck. Throw in deductions and other factors and it’s easy to see the importance of tax preparation for freelancers. If you’re unsure about how to do your own taxes, opt for a tax filing service to help you through the process. This will ensure you don’t end up paying stiff fees and penalties due to a failure to properly file. If you have irregular income, then you may have trouble paying the bills some months. It is best for you to pay your necessary bills first if you are low on funds. This includes your rent, car payment, and utilities. Many people use their credit card when they are low on cash. However, it is not a good idea to run up a credit card bill. Credit card companies charge interest on credit cards. You will end up paying a lot more than what the balance is. Furthermore, credit cards will create an additional monthly bill for you. That is why it is a good idea to limit your credit card use. You can use your credit card to make small purchases. However, you should pay your credit card off every month. You will save money in interest. You will also be able to avoid going into debt. It is a good idea for freelancers to have multiple sources of income to rely on. If your primary source of income is reduced, then you will still be able to make ends if you have other sources. There are several ways that you can make extra money. For example, if you are a creative person, then you can make things and sell them on Etsy. You can also rent out extra space in your home. Additionally, you can write articles or tutor students in your spare time. Irregular income is one of the many things that can make it challenging to be a freelancer. You will need to set a budget and start an emergency fund. You will also need to pay all of your necessary bills first and limit your credit card use. Furthermore, you will need to have several sources of income. It might seem like some people can achieve anything they set their mind to. At least that is the message on social media, but the adage that “into every life, a little rain must fall” applies to everyone. It’s just that some of us are better at recovering from setback than others and this is what separates the likes of Steve Jobs, Elon Musk, and Serena Williams from the rest of us. But there is nothing written in your genes that says you can’t bounce back from adversity. Granted the number of zeros on your paycheck might be smaller than the successful people listed above but you too can overcome anything that gets in your way. All it takes is a bit of stick-to-itiveness and following these tips on how successful people overcome failure. At firstglance, this might seem counterintuitive, but successful people are extremely aware of where they have been and where they are going. For example, if their care is destroyed in an accident, they don’t dwell on the problem; instead, they reflect on what happened and then move forward. This could include working with their insurance company to get a new car or looking at what Cash for Cars options are best for them. In this way, they can overcome whatever setback comes there way and come out stronger. As part of the process of reflection, successful people will block out time everyday to think about what is working and what isn’t working in their lives. Now, this doesn’t need to be an hour each day. In fact, a simple 5 to 10-minute walk can help them to clear their minds and think about the way forward. This differs from dwelling on the past or a setback. When that happens, you dig yourself into a mental hole – one which makes the problem seem almost insurmountable. As you can imagine this is not constructive, so reflect on your problems but don’t dwell. Another reason why successful people overcome failure is that they often wake up early. Now, this doesn’t mean that successful people never sleep but it does mean that they understand the need to get a head start each day. One plus to getting up before everyone else is that this gives you time to reflect and finalize your plan for the day. Another plus is that you can start working before everyone else. This can include following up on key tasks and making sure everything is in place to make your day the most productive it can be. What’s the lesson here? Well, the early bird really does get the worm, so if you want to get yourself on the road to being successful in everything you do then start getting up earlier. While this might be a bit harder to do in the beginning, your body will quickly get used to the earlier starts. Another plus of starting earlier is that you will have more free time during your day and as such you could even take a power nap in the afternoon. This doesn’t mean that all successful people are control freaks. In fact, most understand focusing on what they can’t control is a massive waste of time. As such, they put their energy into the areas where they can have an impact on the outcome. At work, this means starting with the items which they have a direct influence on and then working from there. This approach helps them to better prioritize what they want to accomplish, instead of wasting time dealing with resisters and Debbie Downers. If you follow this approach you will not only find yourself being more effective, but it will also help you to find ways to get things done. Note, this doesn’t mean that successful people let anything get in their way. Instead, they focus on what they can accomplish today and then take a long-term view towards dealing with people who resist what they are trying to achieve. To be more successful in their personal lives, successful people make sure to make time for their family. Sure, there are times when this can be a challenge but even if you are pressed for time you should try to find 30 minutes to one hour every day to spend with your friends and family. Doing so will not only help to recharge your batteries but it will help to increase the closeness of your family – something which will pay dividends. This doesn’t mean that successful people are afraid, as there are undoubtedly things which keep them up at night. The key is that they don’t let fear get in way of whatever they are doing. Instead, they channel that energy into what they can control – overcoming failure. When you’re in an automobile accident, it helps to have someone on your side. Especially if you have been injured in a car accident, hiring a personal injury attorney can be in your best interest. A lawyer can help you attain compensation or a settlement, saving you stress, time and money. Here are some strong reasons that a personal injury attorney can help an injured driver. A personal injury attorney most likely has vast knowledge of cases similar to yours. Even if you have been in an accident before, they probably have more experience dealing with cases. Lawyers can help answer any questions you have regarding the car damage, legal action and insurance claims. Since they have dealt with the process many times, they can warn you about pitfalls or risks along the way. You may not even be aware of the extent of your injuries. An attorney will understand the legal system and the compensation you deserve. It makes sense to hire an expert who knows the maze you’re navigating. Although this isn’t always the case, lawyers typically can help save you money. They can do this by acquiring assets from the guilty party or only receiving payment if you win the case. Personal injury lawyers often operate on the notion that they will get you the compensation that you deserve. The “contingency fee” means that you don’t have to pay your attorney directly, but you may need to allocate some funds for some of their services after winning the case. Typically, a personal injury attorney will attempt to get as much of your damages covered as possible and/or help you win a better settlement. If you were having financial struggles before the accident, this type of costs could help your financial situation significantly. Getting into a car accident can be emotional. Now, you have expensive bills to pay and information to collect, on top of all your normal work or familial obligations. It can take several days or weeks to fight depression and get over the stress from the accident. Having a personal injury attorney can allow you to step back from the situation and get back to your everyday activities. A lawyer acts as an objective party on your behalf, which can lead to calmer mediation and better outcomes. This can also save you precious time and stress. A lawyer will get all the information they can from you about the accident, and then complete all the paperwork themselves. If you hire an attorney, you can start regaining peace of mind. The car accident you were in may require an investigation. Lawyers know that investigation can be long and tedious. Depending on the complexity of the case, it could involve multiple parties from manufacturers to government entities. A personal injury attorney can help you communicate with police officers through this process. Moreover, they may have access to their own investigative team or resources. They can acquire information from analysis and interviews to bolster your case for you. Without a lawyer, you’ll have to conduct your own rudimentary investigation into the accident. Although it doesn’t always come to this, your attorney can represent you in court if needed. People who self-represent in court often leave with smaller settlement. Additionally, a lawyer knows how to advocate for you. They can manage the courtroom with ease, since they know the process well. For example, the Barnes firm is willing to go to court to get their client’s maximum compensation. Similarly, your lawyer is likely have the experience and negotiation skills you need to win the case through a trial, if necessary. Without strong legal representation, your case could end up wasting resources or losing a valuable settlement. Accidents happen, but sometimes one driver is more to blame. If you think you need a personal injury attorney, don’t hesitate to research a few different firms. An experience lawyer will know how to manage your claim throughout the entire process and possible improve your finances after the incident. Moreover, the attorney can act as a buffer between you and the person at fault, negotiating on your behalf. On top of that, he or she can streamline the investigation process. And if needed, their team can represent you in a court in front of a jury. Hiring a lawyer to help after a car accident can save your sanity and your wallet from further damage. Consider all of these reasons why it’s worth it to hire a personal injury attorney. Moving is a stressful time. Apart from everything else there is to worry about, rubbish removal can create further problems. There are many reasons for this and we’ll look at some in what follows. But always bear in mind that the unexpected can and often does happen very close to or actually on moving day. Most homes and premises will have more things to be moved and disposed of than many people will think. And the actual task of going through everything and getting ready to move can and will create unexpected amounts of rubbish. Often packaging for items such as TVs, stereo equipment, and domestic appliances are stored away in case the goods they contained need to be returned. Some of it may be useful in packing to move, but some of it may be fit only for the dump. Dismantling furniture and other things to be moved can create waste, and there are often large amounts of unwanted garden tools, pots, bins, even equipment and tools that are not going to be making their way to a new home. Sheds and garages can yield the most unexpected amount of unwanted items that need to be disposed of quickly before or on moving day. Try to calculate as much as possible as early as possible what you will need to dispose of but be prepared for the unexpected as well. Sometimes there are household and other items that simply will not fit into a new home. The new premises may be of different layout, style and size making it difficult to simply transport and relocate everything within existing premises. It is not unusual for people to plan for new items in their new homes such as cookers, beds, chairs tables and sofas. 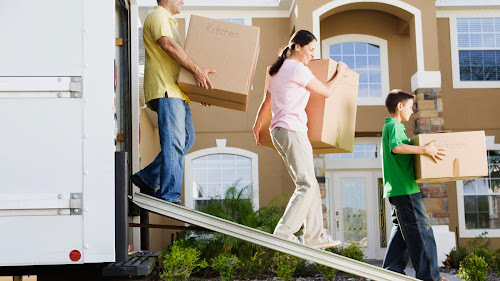 With modern shopping styles it is not difficult to have new items delivered to the new address on or very quickly after moving day. This leaves old items to be disposed of. Getting rid of beds, settees and armchairs in the midst of organising everything else necessary for a move can be a nightmare. Many will simply not have the size and type of transport necessary to carry them to a waste site. Hiring a van is simple, but can take time and prove to be costly as most domestic waste sites will only allow free disposal to domestic vehicles. Vans will have to pay. This is when hiring a company with the appropriate vehicle, expertise and knowledge and connections for rubbish removal can prove invaluable by saving you both time and money. There are many companies specialising in rubbish removal. What makes Clearabee a more viable option is the range of services they provide. Many companies only have one size of vehicle and are set up for very specific and restricted methods of rubbish removal, for example using a flatbed truck and two or three men. 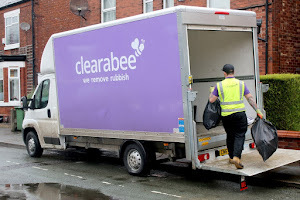 Clearabee can offer one man and a van – ideal for awkward domestic tasks – to the delivery of specialised skip bags of various sizes that will be delivered the day after order and collected the day after delivery if required. These are ideal for garden clearance and other larger disposal needs. Smaller bags are also available, delivered and collected the next working day. Clearabee offer an on-demand service and recycle more than 90% of waste collected. Clearabee’s flexibility of service, rapid delivery and eco-friendly approach makes them the right choice for domestic or commercial needs. 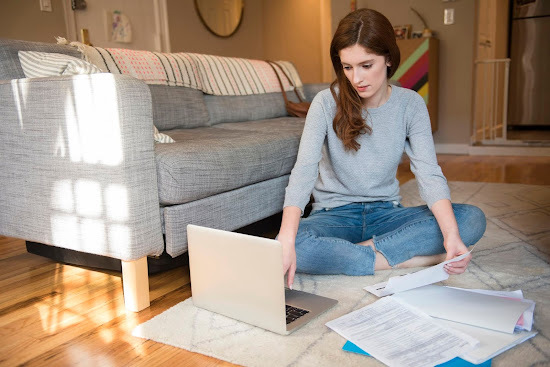 The majority of Americans are way in over their head in debt, so it’s no wonder that many families are looking for ways to trim their household expenses. After all, according to the Federal Reserve, the average American household owes $137,063. This factors in student loans, mortgages, and much more. If you’re growing increasingly frustrated at the cost of your cell phone bill, it’s time to take action. The best thing to do is to wait until your contract is almost over, which provides you with enough leverage to negotiate with your current carrier. However, your carrier might not be willing to work with you. In this case, you should be prepared to switch providers. Before you call your current carrier to look for ways to lower your phone bill, there are two things you should do. First of all, research prices from other carriers and write a list of potential candidates. Find out what you would have to pay to cancel your current contract as well. Then, do the math to ensure that, even after you’ve paid the contract closing fee, you’d still save money by switching. Explain this to the representative if there are difficulties finding a solution that works for you. Lastly, be sure that the carrier you’re considering switching to has good coverage in your area by checking OpenSignal. Other alternatives you should look into include getting prepaid phones and no-contract phones. There are decent no-contract options starting as low as $30 a month. And because they require no contract and have such low costs, you can test out the service to see just how good it works for you, with no requirements for commitment. According to one survey, the majority of Americans spend roughly $2,000 annually on lunches during the working, instead of packing them in advance. That number breaks down to $37 per week. Rather than indulge in workplace lunches, try packing your lunch the majority of the time, giving yourself small allowances to buy lunch at work. Use a budgeting app to keep track of how much your spending on purchasing lunch. For example, the Mvelopes app allows you to virtually store “cash” in an envelope and label its spend. In this case, let’s say you’d label it “lunch” and have put in $50 for the month. You can use that $50 for the month, but once you’ve run out, you’d have to wait until the next month for it to reset before you can buy lunch at work again. According to the Environmental Protection Agency, the average U.S. home wastes about 10,000 gallons of water every year because of leaks. Fixing any instances of leaks around the home is an air-tight, cost-effective way to save money on the water bill, as well as make a difference to the world. If you find that you’re spending a lot of money at the same stores for big purchases, like Walmart, you can purchase gift cards on sites like GiftCardGranny for a few dollars off the value price. For example, you might purchase a $50 Walmart card for $43. After a while, these small savings do make a difference, especially over the course of the year. Lunch isn’t the only thing the average American is indulging in. Coffee also seems to be a huge source of spending money. According to the same Workonomix survey by Accounting Principals, half of the American workforce spends about $1,000 annually on coffee, resulting in a weekly cost of around $20. Rather than spending money on outside coffee, get a reliable coffee container and take it to work each day. Nearly every brand today sells bags of coffee beans, so you’ll still be able to enjoy that dark roast from Starbucks or Dunkin Donuts. You should also consider trying different coffees outside your comfort zone to replace the coffee experience you’re looking for with something new. Check out this list of best coffee subscription boxes to get you started. Brushing your teeth and flossing isn’t enough to maintain clean teeth. Yes, those habits are good, but you need professional teeth cleaning to remove the harder plaque, the tartar, and the hard-to-reach places that are tough to get to on your own. Regular teeth cleanings remove plaque buildup, which is the leading cause of cavities. Dentists can reach into all the nooks and crannies you missed and remove plaque buildup. When plaque builds up because we miss spots when we brush and floss, this plaque buildup can solidify and turn into tartar, which is extremely difficult to remove without professional help from your Dentist or Dental Hygienist. A professional dental cleaning also combats bad breath and promotes oral health and good oral hygiene. Visiting the Dentist for a regular cleaning is comfortable and easy. Visit https://jubandental.com/ for more information on how comfortable a dental visit can be. You can save your teeth if you diagnose tooth decay early. Tooth decay and gum problems need to be watched for, and only a professional can help you spot these issues. Without early diagnosis, these tooth problems can lead to much more serious problems. If left undetected, you might even face major dental concerns, which could cost you a lot of money, pain and suffering. When plaque buildup turns into tartar, it can erode your teeth and create holes in your teeth, which is how cavities occur. Once you have a cavity, you’ll have to spend money on a filling and then you’ll have the unappealing aesthetic appearance of fillings. Your dentist will help you keep your bad habits in check. Perhaps you’re clenching your jaw too much, grinding your teeth, drinking too much coffee, eating foods that stain your teeth, smoking, or committing other bad habits that your Dentist needs to remind you not to do. Since these habits are bad for your oral health, it’s good to be reminded to keep these habits in check. Your Dentist will provide you with tips and lifestyle choices that can combat these bad habits and prevent further damage. Your dental office is where a thorough and proper cleaning of your teeth takes place, which makes your teeth whiter, brighter and more healthy-looking. They can remove most of the stains that dull and discolor your teeth, so you’ll be left with a whiter smile. They can polish your teeth and remove the layers of bacteria and plaque that your regular toothbrush missed. They can even suggest fixes for aesthetic flaws in your teeth that might be bothering you. Dental diseases such as oral cancer is something to watch for, because early diagnosis of dental diseases such as oral cancer could save your life. Your Dentist will do an oral cancer screening during your regular visits. Oral cancer is one of the dangerous cancers that spreads quickly, but it can be fought if detected early. Bad habits at home and bad food choices can lead to nasty gum disease, which can lead to tooth loss and other serious health problems. Regular dental visits where your Dentist checks your gums is crucial. You must diagnose gum problems early on. Sometimes, you need that full check of your mouth which incorporates x-rays, lymph node checks, throat checks, and more. This type of check-up is extremely important because abnormalities or problems can be detected. They can find cysts, tumors, swelling, and other signs of health problems that require attention. Having routine professional teeth cleanings costs much less than expensive dental procedures do. A regular teeth cleaning or check-up at the dentist costs much less than you’d expect. The expensive procedures and treatments that happen when you’ve failed to schedule regular check-ups, however, are going to cost you a lot of money. That’s why regular teeth cleanings and visits to get your teeth checked will save you money in the long run, because you’ll likely avoid having to fork over the cash for expensive dental procedures since you’ve been taking care of your teeth.